HDTV Supplys WolfPack 1X8 HDMI Splitter over CAT5 Splitter can send 8-HDMI signals up to ~145 ft using CAT5e/6. This product is a great option for anyone looking to expand their electronics and hook multiple units up to the same machine. 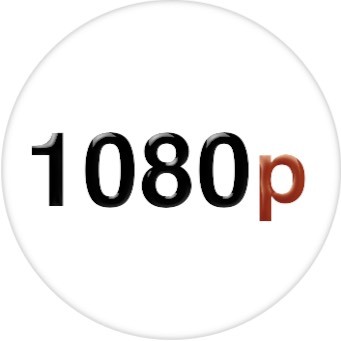 There are 8 receivers included which allow convenience to those who want the best quality – 1920 x 1080p resolution. Rather than constantly having to disconnect one device in order to use another one, the WolfPack 1x8 HDMI Splitter over CAT5 has the ability to leave up to 8 electronics hooked up with HDMI cables at the same time. This can be extremely beneficial for those who have a 2-story house or a basement. Depending on the distance, the cords just have to be run through each floor to the appropriate location. Another useful feature is the large temperature range in which this product can be stored. So there’s no need to worry about whether the basement or upper levels are too hot or too cold; the splitter can be placed anywhere. For its cost and convenience, the WolfPack 1x8 HDMI Splitter over CAT5 is a very easy-to-use product that allows anyone the ability to extend their audio and video signals on all of their HDMI or DVI-equipped products. Nothing else beats having to mess around with multiple wires and cords, trying to figure out which ones are plugged in to each device. This product takes away the mess, as well as eliminates the need to buy other products. Nothing else can compare to the simplicity and ease of this unit. This WolfPack 1x8 HDMI Splitter over CAT5 offers an ideal, cost effective means for extending digital video and multi-channel audio signals from HDMI or DVI-equipped devices. Each receiver works with the splitter as a fully functional unit enabling a full 1920x1080p resolution. This professional HDMI to CAT5e/6 splitter is optimized for a variety of installation environments including digital signage, classroom and medical imaging markets. Why not buy this WolfPack 1x8 HDMI Splitter over CAT5 Outputs today? Q: What type of Cat5 cable do you recommend to use with the HD8PSPE? UTP or STP? A: We recommend UTP CAT5e or CAT6 with TIA 568B for termination. 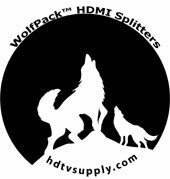 HDTV Supply includes a 1 Year Limited U.S. Warranty on this WolfPack 1x8 HDMI Splitter over CAT5. 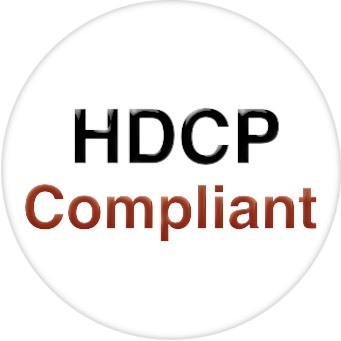 The U.S. warranty states that (a) its products will perform substantially in accordance with the accompanying written materials for a period of 1 year from the date of receipt and (b) that the 1x8 HDMI Splitter with Cat5/6 Outputs will be free from defects in materials & workmanship under normal use & service for a period of 1 year. In order to get a warranty replacement for a defective item, HDTV Supplys Support Team will verify the product is eligible for warranty. An RMA number will then be issued. Shipped replacements will be in like new conditions, tested and all components included. A 30-day RETURN also comes with this warranty as well as Free Lifetime Tech Support. HDTV Supply also sells a 3 and 5 Year Extended U.S. Warranty for this 1x8 HDMI Splitter with Cat5/6 Outputs. Please go to Extended Warranties or see the above Options to purchase it.